Chevron oil facilities at Thiangrial destroyed in the civil war after an attack by government forces on the SPLA. Morton, Chris. 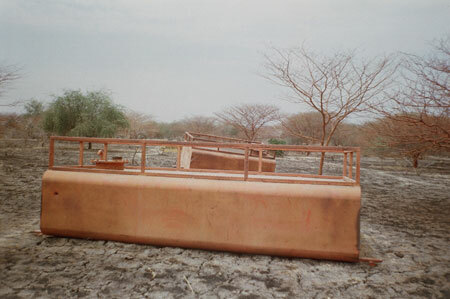 "Destroyed oil facilities" Southern Sudan Project (in development). 03 Jan. 2006. Pitt Rivers Museum. <http://southernsudan.prm.ox.ac.uk/details/2007.137.69/>.